1. When will this flood event begin and how long will it last? Information from the National Weather Service predicts that the Big Sioux River will crest around late Tuesday - early Wednesday (March 26-27). After the peak, the water is expected to go down some, but high water levels are expected for several days afterwards. 2. Am I located in the flood plain? Now is the time to prepare if you own or occupy property located in the floodplain. Move personal property including vehicles, equipment and livestock to higher elevation. Ensure you take appropriate action to keep yourself from being inside vehicles or residences surrounded by flood waters. Updated maps can be found by clicking on the flood maps link for the flood page. 4. How often are updates being provided? 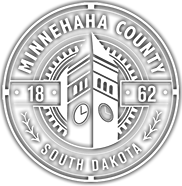 Stay informed by monitoring the Minnehaha County Sheriff’s Facebook page - . The Sheriff’s office can also be found on twitter - https://twitter.com/MinnehahaCounty. Daily media conferences with Minnehaha County and the City of Sioux Falls are held at 11am daily. A link to those videos - https://www.facebook.com/CitySiouxFalls and click on the video link to view the daily 11am press briefings for the latest updates on Minnehaha County and Sioux Falls. Contact 211 if you need non-life threatening flooding assistance or if you or your group is interested in volunteering or needs assistance. Teams are needed to fill sandbags in Dell Rapids. Dell Rapids – 24680 – 475th Ave (City of Dell Rapids Shop – is now open and will stay open twenty four hours a day until further notice) Sand bags will be available to fill following a self-service model. 7. Do I need to fill sandbags and how much to do they cost? Volunteers are needed in Dell Rapids to fill sandbags for residents who may not be able to fill sandbags themselves. Sand bags and sand are available free of charge to private residents at the distribution points. Commercial locations must make their own arrangements for sand bags and sand. 8. How much does a sandbag weigh so I can determine how many my truck with hold? A sandbag that is 14-18” wide and 30-36” deep should be filled half way and will weigh approximately 30 pounds. 9. How many sandbags do I need for my house? To cover a length of 100 feet that is one foot tall, you need six hundred sandbags. Click on the arrows in the upper right hand corner of the document hosted at the website above to open the screen to download the manual. 10. What if my basement is flooded? The County is not currently providing financial assistance for those impacted by flooding. We recommend first contacting your insurance company regarding any potential claim. 11. What do I do with my pet? Contact the Sioux Falls Area Humane Society at 338-4441. 12. Who should I contact for emergency shelter if I am impacted by flooding? Contact your family or close friends if you need to relocate or need shelter. Contact 211 for shelter locations if you are impacted by the flood. 13. What if I live out in the County and need a location where I can move equipment temporarily? Residents are strongly encouraged to identify higher ground where equipment can be safely and securely stored. For citizens of Dell Rapids, an option can be the old Shopko parking lot located at 1208 N. Highway 77 in Dell Rapids. Please note, the parking lot is not monitored so the responsibility to secure equipment temporarily stored there is the equipment owner’s responsibility. 14. How do I clean up my dwelling after flooding? Personal protection equipment (rubber boots, rubber gloves) is highly recommended when cleaning up water damage. A disinfectant mixture of 1 cup bleach to 1 gallon of water should be used. When in doubt about the safety of your residence, you should contact a professional. 15. After I contact my insurance company, who should I call to report damage? Any member of the public with flood-related property damage in Renner, Dell Rapids, or within the Minnehaha County boundaries should dial 2-1-1 to complete a damage assessment over the phone. 16. Why shouldn’t I drive through a flooded roadway? Besides immediate danger to yourself and others in your vehicle, driving through a flooded street creates waves and wakes. The additional pressure created by water movement adds significant stress to sand bags protecting others’ homes and personal property.